Can I setup a form field (email) as Notifier Recipient? Can use a placeholder in the Recipient field? That is possible by either of the two methods below. 2. 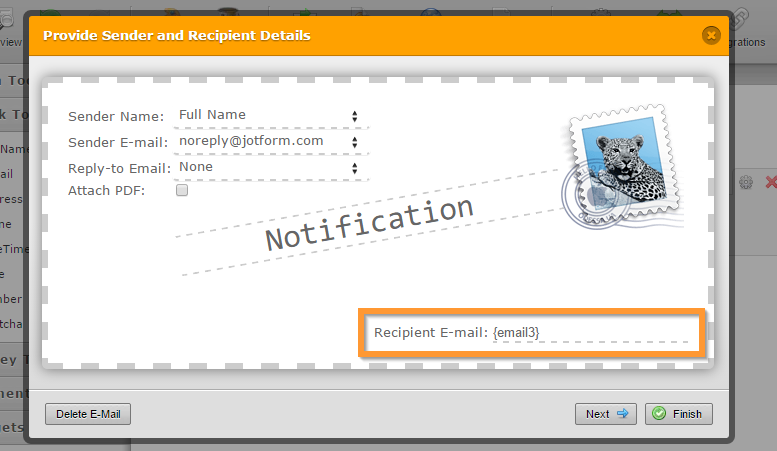 Or you can set the recipient address using the field name. 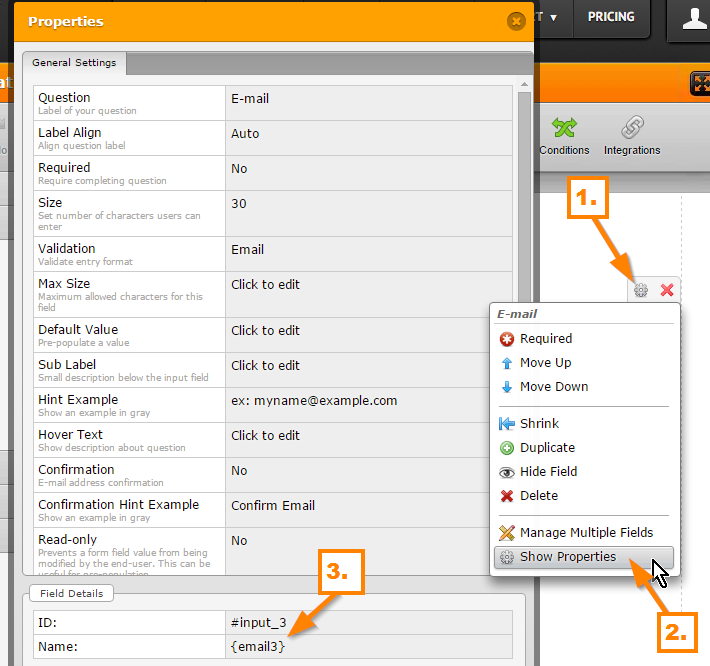 Here's an example, first get the field name of your email field. In your email notification (not autoresponder), you can add your field name in the recipient.